— Need a stereogram created for your personal use or marketing project? Color Stereo Stereograms offers viewers a large variety of innovative 3D stereogram and anaglyph galleries, including animated stereograms, magic eye® type hidden image stereograms, anaglyphs, SIS and SIRDS. 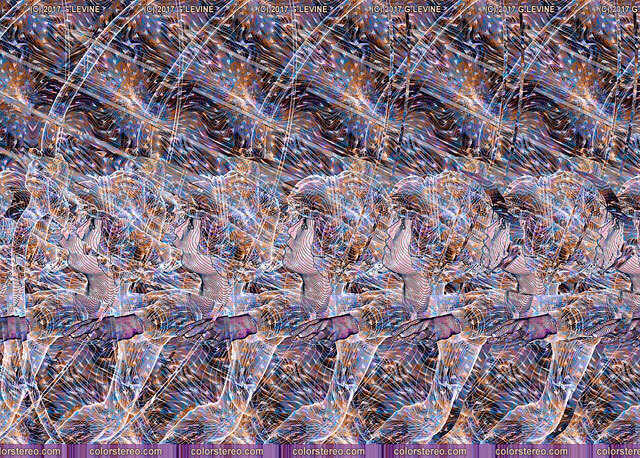 You may also want to consider having a custom stereogram image created for any special personal or commercial projects. 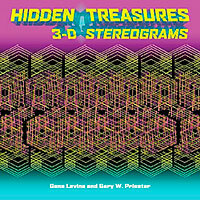 Check out the Color Stereo Publications pages for even more stereogram purchase options. I have found stereograms have a remarkable amount of popularity all over the world. Despite this, people still usually give me blank stares when I mention the word stereogram. My mission is twofold: first, use my web site to inform the public about stereograms. 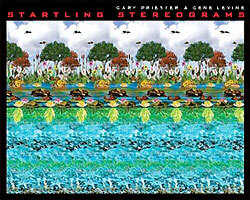 Second: take the stereogram from a visual curiosity into acceptance as a New Age art form. I'm not saying that many of my stereograms are art, but that is the direction I wish to head. Last but not least, I wish to bring some pleasure to Color Stereo visitors.